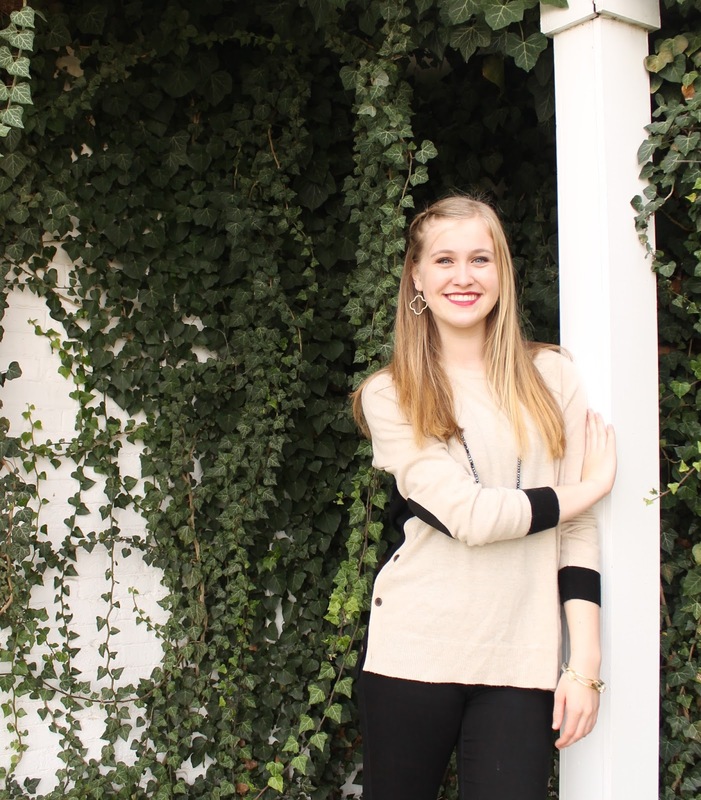 Today I'm sharing a perfect, casual fall look with y'all. I'm absolutely obsessed with this two-toned sweater from J.Crew Factory. 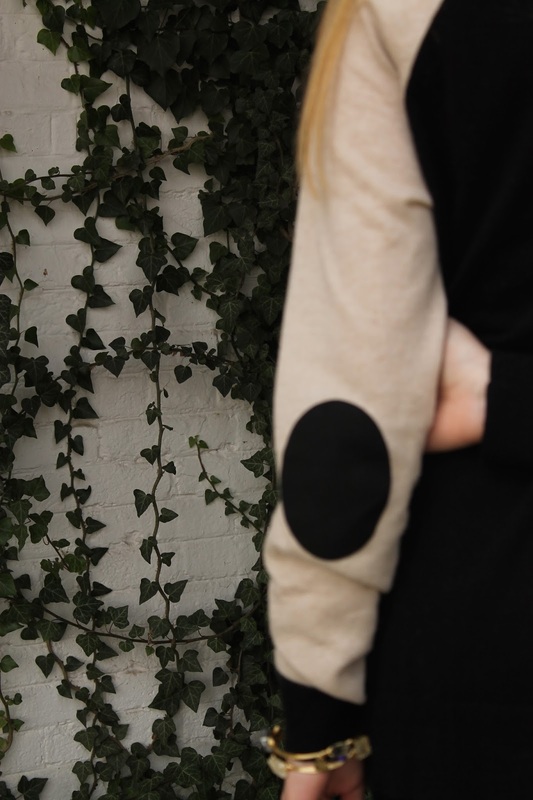 The suede elbow patches and tortoise buttons make it and it's super warm and cozy for fall. Paired with plain black jeggings (or leggings for a lazy day) and any riding boots, it's a simple, cozy look for fall. My necklace, bracelet, and earrings are all from a small boutique in Starkville, MI (home of the dawgs) called Love Poppy Jewels. Their range of unique jewelry has something for everyone and I love these pieces. The earrings are so versatile and I love the shape. I've been wanting some bangles like these for quite a while, and these two are perfect together or separate. The necklace is so unique and perfect to add to an outfit more on the simple side like this one. You can find Love Poppy Jewels by searching @LovePoppyJewels on Twitter and Instagram or by visiting their Facebook page! I love this outfit and it's perfect for lazier days when you still want to look cute. The weather's turning here in LEX and this was great to beat the cold weather. Love the jewels! I've been looking at getting bangles like that for a while - will definitely have to check them out!